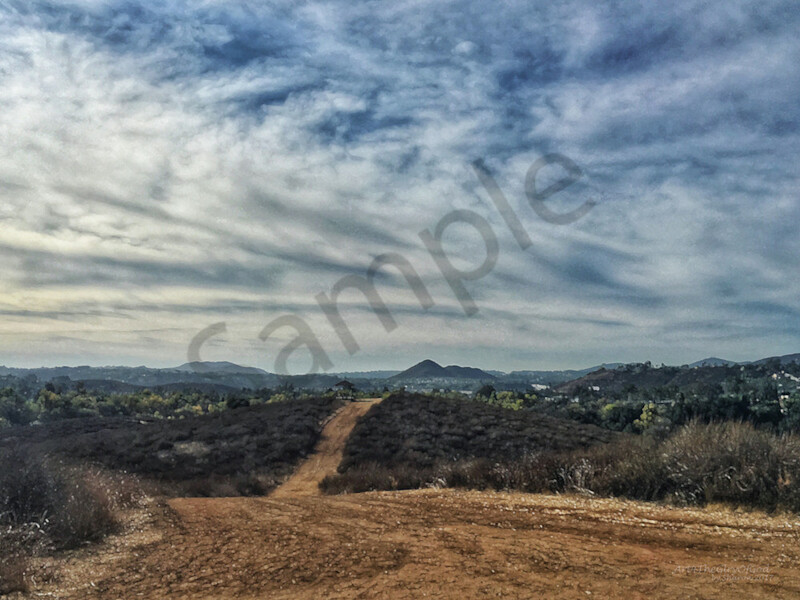 Digital painting photograph out in nature for a hike in San Diego, CA. Pathway, hills off in the distance, and beautiful clouds for those cloud lovers out there. "...Rejoice that God has given you a unique mission—one that only you can fill. Your life may not be recorded in Scripture, but you can have a ripple effect beyond what you see."